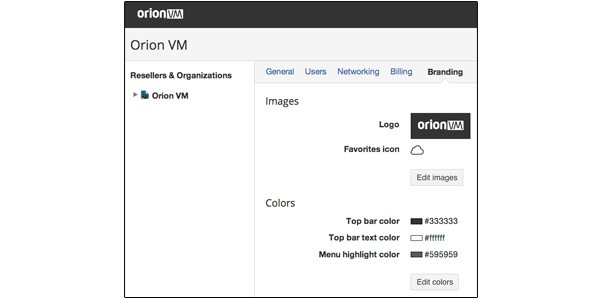 The OrionVM platform is easily white-labeled, allowing you to rebrand it as your own. We enable you to bring a world-class cloud solution to market, or, deliver a private cloud within your own organization. Gain control and a complete view of resellers and their customers through OrionVM’s admin panel. Our panel provides the flexibility and tools needed to grow and manage your channel, allowing you to easily customize a workflow to fit your business. Market tested and proven technology provides enterprise-class resiliency and reliability. If you need fast SSD-cached storage, our platform is ready to deliver. Entrust customer workloads to us with total confidence. OrionVM’s distributed block storage system (DSAN Storage) combines commodity cloud hardware with high speed Infiniband to create a reliable, scalable storage alternative to traditional SANs and direct attached storage. OrionVM leverages Infiniband technology, unlike most traditional cloud providers that use Ethernet. Typically found in supercomputers, Infiniband is a key component that enables OrionVM to offer clients significantly higher I/O performance, all the while maintaining data consistency through synchronous replication. OrionVM’s platform allows you to provision instances, storage and networks extremely quickly. Everything is self serve – no support tickets required to deploy a server. Our technology provides the flexibility to allocate resources when you need them, in the exact quantity that is required. Customisable price points for each type of resource. 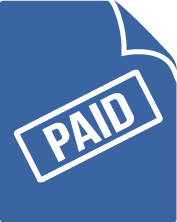 Receive monthly billings feeds with complete usage information on all of your customer accounts. We believe in flexibility, so whether you want to use a private network, or a blend of networks, our platform can be tailored to meet your unique configurations and requirements. Deliver public, private and hybrid cloud solutions. Interconnect with us at one of our available data centres. OrionVM understands the unpredictable demands on resources and volatility cloud services must support. We meet these challenges by allowing you to scale-out instantly, without performance loss or prohibitive pricing. OrionVM supports all major operating systems. No matter the workload or configuration, we’ve got the tools and software to get your services up and running. We make it easy to define which templates are presented to your customers, even custom templates you have designed.